Soldier Boy is the top steed at Fort Paxton. He is Buffalo Bill’s favorite horse and has led a life of glory and honor. One day General Alison’s orphaned niece arrives and proceeds to charm every man, woman, and beast for miles around including Soldier Boy. Buffalo Bill takes her under his wing and ultimately “lends” her Soldier Boy so that they may seek adventure together. And so they do. 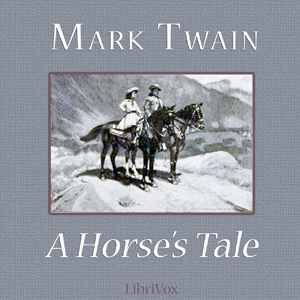 – “A Horse’s Tale” was first published in the August and September, 1906 issues of Harper’s Monthly magazine.